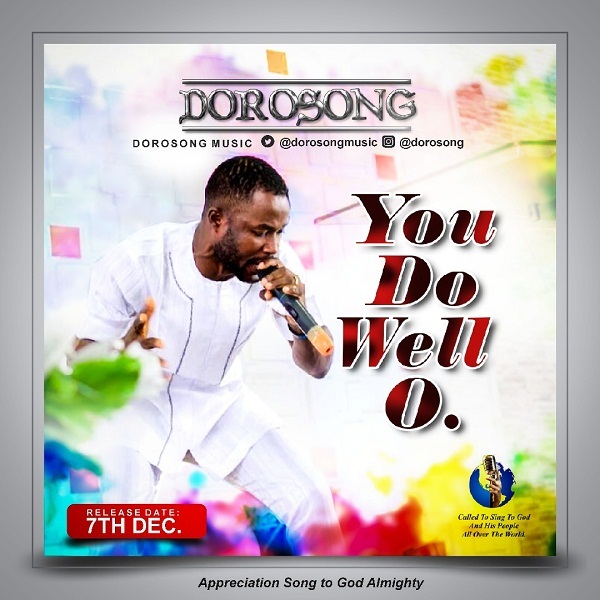 Popularly known Port Harcourt gospel music minister Dorosong is celebrating his birthday today 7th December, 2017 with a brand new thanksgiving song titled “You Do Well O”. Scriptural reference is Psalms 107:21 ‘Oh that men would praise the Lordfor his goodness, and for his wonderful works to the children of men!. “To God alone be all the glory for the privilege of seeing the last month of this year, no doubt God has been so faithful and I strongly believe we will all end this year in the spirit of multiple celebrations. “Beloved brothers, sisters, friends and family all over the world it is with great joy deep down my heart i present to you my latest music titled “You Do Well O” a thanksgiving song unto God Almighty for the manifold blessings me and my family have enjoyed since the beginning of this year till date, as I mark my birthday today please join me to sing, dance and glorify the name of Jesus. Merry Christmas/Happy New Year in advance” Dorosong.